According to the Center for Disease Control (CDC), an estimated 400 people in the United States die from carbon monoxide poisoning each year, and approximately 50,000 victims receive examinations or treatment at healthcare facilities for accidental CO poisoning. Carbon monoxide (CO) is an odorless, colorless gas that comes from the incomplete combustion of fuel, such as wood, gasoline, propane, and natural gas. Known as the “silent killer,” you can’t see, smell or taste the gas. Exposure to CO gas causes CO molecules to displace oxygen molecules in the body, which deprives cells and organs from working properly. Carbon monoxide poisoning can be prevented. Armed with knowledge and information regarding the sources of carbon monoxide poisoning and helpful tips, you can protect yourself against an invisible killer. Higher exposure to CO can also be fatal, particularly for people who are asleep or intoxicated. If you or a family member are experiencing symptoms of CO poisoning, you should get into fresh air immediately. Once you get to safety, call 911 from your mobile phone or a neighbor’s house and wait for assistance to arrive. If you cannot leave your home, open the windows and doors and shut-off all possible sources of carbon monoxide leak, such as a water heater, furnace or other appliance. Any fire or burning material releases CO gas. If your home has fuel-burning appliances or an attached garage, you have a higher probability of incurring CO problems. Take an inventory of the fuel-burning appliances you have in your home, such as gas range/stove, gas clothes dryer, water heater, furnace, fireplace, generator, wood burning stove, and portable fuel-burning space heater. Vehicles, generators and other combustion engines running in an attached garage. Furnaces, hot water heaters and other fuel-burning appliances must be vented to the outside. Carbon monoxide cases peak during the winter months because people tend to rely on different types of heating sources. 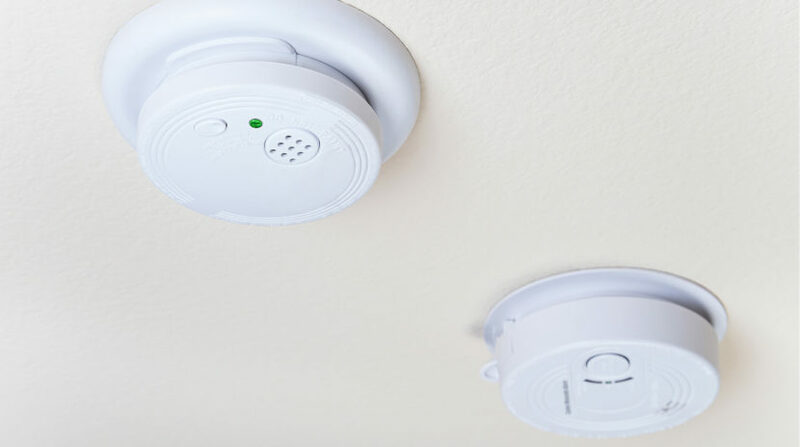 Install a carbon monoxide alarm in a central location on each level of your home, outside each sleeping area and in other locations as required by local ordinances, codes or laws. Have a qualified technician services your furnace, water heater and other fuel-burning appliances annually. Change batteries in CO alarms when you change the time on your clocks each spring and fall. Do not operate a generator, grill or other fuel-burning appliance in an enclosed space, including garages, basements or near a window. Don’t heat your home with a gas oven. Carbon monoxide poisoning can happen suddenly or occur over a long period of time. The good news is that you can take simple action such as installing a CO detector, and maintaining your appliances to protect your home from carbon monoxide poisoning. Looking for help with your home repair, maintenance and improvement projects? Contact your local Pro Handymen or feel free to call us.